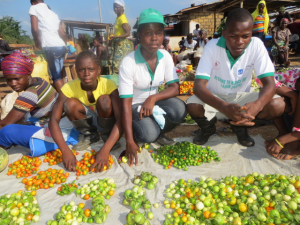 Mercy Dahn was 9 years old when she began working on her father’s rubber farm in Liberia. At first she dug holes and planted young trees, but as she grew older the tasks grew more difficult and dangerous. She worked with acid that irritated her skin, and carried heavy buckets of latex that leaked wastewater into her eyes. She never thought of stopping because her family needed help. Going to school was out of the question. 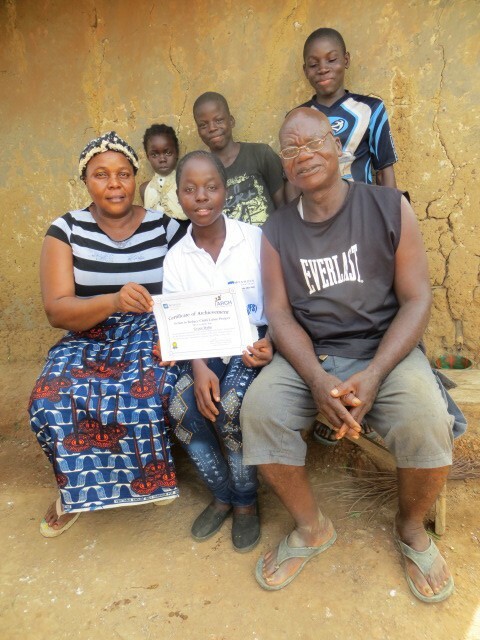 Now 17, Mercy is a peer mentor in her village. Her life improved in part thanks to a U. S. Department of Labor-funded ARCH program run by Winrock International that brought rubber companies, unions, farmers and communities together to create shared solutions to reducing child labor. Strange bedfellows? Perhaps. But combining forces has strengthened relationships between management and workers, and made child labor issues harder to ignore. One hundred and sixty-eight million of the world’s children work at unsuitable tasks and unsuitable hours. Fueled by poverty, low wages, lack of decent jobs and limited access to school or vocational training, child labor denies kids an education and access to skills that would lead to better paying jobs in the future. It robs them of childhood, it’s self-perpetuating, and — worst of all — many of us enable it. But Rwanda is not alone. In every country where we have projects striving to end child labor — Liberia, Rwanda, Tanzania, Ghana, Brazil, Malawi and Zambia — governments and private sector companies are part of the solution. Although the Ghana MOCA-Youth project is just beginning, we’ve been involved in child labor eradication efforts in the cocoa sector since 2002, working from within the industry through the World Cocoa Foundation. And we applaud such private sector efforts as the fair-trade company Divine Chocolate and the 85,000 farmer members of the Kuapa Kokoo cooperative in Ghana who own it. The co-op has worked hard to eliminate child labor from its supply chains, and the commercial success it’s enjoyed is helping small villages build new schools. Click here to view the Twitter Chat Wrap-Up.